Are you deciding whether to hire support staff or revenue-generating staff, or all of the above? Are you unsure how to find qualified candidates for your team, what to pay them, and how to manage them? On this webinar, we will take you through the steps and questions you need to answer to not only determine what your staffing needs are, but how to ensure that you get the right people, and these techniques are very much the same for your clients! 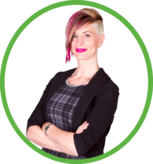 Shauna Lynn will share her best hiring successes, and failures, and how to set yourself, and your company, up for long-term success! How to avoid the most common mistake with hiring employees AND clients!